Government Accountability Board to Capitulate on Needed Campaign Disclosure? 1. Is there a separate standard of justice for the political class than for ordinary Wisconsin citizens? It appears so. Yesterday, in a stunning development, in the almost decade-long Legislative Caucus Scandal saga, the Waukesha County District Attorney announced a settlement (or -- more accurately -- a surrender) with former Wisconsin Assembly Speaker Scott Jensen who was criminally charged more than eight years ago for three counts of felony misconduct in public office: Jensen settles misconduct case; felonies dropped and Former state legislator settles misconduct case. The settlement? A $5,000 forfeiture in exchange for dropping the felony charges. Oh, and Jensen must repay (with interest?) Wisconsin taxpayers the $67,000 he utilized to pay for lawyers in 2001-2002 before he was criminally charged in October of 2002 (along with former Assembly Majority Leader Steve Foti, former Assistant Majority Leader Bonnie Ladwig and former State Senate Majority Leader Chuck Chvala). Four years ago, Jensen was tried by a jury of his peers and found guilty of three felony counts and a misdemeanor and sentenced to 15 months in prison. But a new trial was ordered on appeal because of a technicality and the new trial venue was moved from Dane County, where Jensen's alleged crimes were committed, to Waukesha County--his home county (only legislators in Wisconsin can "choose" where to be tried). Waukesha County D.A. Brad Schimel apparently never seriously considered a trial, saying the job would have overwhelmed his office. So, instead, in the plea deal with Jensen's lawyers, Schimel just surrendered. And so a major player in the most sweeping and serious political scandal in Wisconsin's history can now go "Scott free" off into a "bright, bright sunshiny day," which he actually had the audacity to cite in his statement yesterday. Incredible. 2. The Wisconsin Government Accountability Board was created in 2006-2007 as a direct reaction to the scandal involving Jensen. It has done a commendable job thus far in enforcing Wisconsin's ethics and campaign finance laws and updating them. Last Summer, an administrative ruled promulgated by the G.A.B. and strongly supported by CC/WI went into effect that would require outside special interest groups who ran campaign communications masquerading as issue advocacy to disclose their donors - just as candidates and groups seeking to influence the outcome of an election must do and have done for decades. But the rule that went into effect on August 1st was challenged by several of the outside special interest groups. The G.A.B. attempted to reach a settlement with them and keep the rule in effect, but the Wisconsin Supreme Court jumped into the fray in August and voted 4 to 3 to block disclosure from being in effect for the 2010 Fall election campaigns. The Court last month decided to rule on the constitutionality of the rule in March of 2011. 3. Believe it or not, the campaign for the next election for a seat on the Wisconsin Supreme Court is well underway. Justice David Prosser is running for re-election for a new ten-year-term and thus far three challengers have stepped forward. The primary election in February will winnow the field down to two candidates and the general election will be in April. This is the first election being held since the enactment into law of Wisconsin's landmark "Impartial Justice" law which CC/WI strongly supported and which was enacted into law a little more than a year ago - the most sweeping campaign finance reform in Wisconsin since 1977. 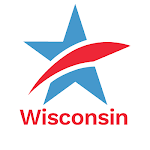 To see why this law is so important and how it will work in the upcoming State Supreme Court election you can watch this program taped yesterday by Wisconsin Eye in which the CC/WI executive director and top officials of the Wisconsin G.A.B discuss the genesis and implementation of "Impartial Justice" with moderator Steve Walters. Happy holidays and best wishes for a healthy and happy 2011 from Common Cause in Wisconsin! To make a year-end contribution to support the reform work of CC/WI, please go here. Thanks! Waukesha D.A. "Surrenders" to Jensen/G.A.B. Disclosure Rule About to be Weakened?/MoreTweet this!